Black Rok specialise in the design, supply and installation of German Kitchens. German kitchen brands have secured their prestigious positions by manufacturing and designing to the very highest standards. Names synonymous with high-quality such as Alno, Siematic, Poggenpohl, Hacker, and Bulthaup dominate the luxury kitchen market. Not surprisingly, German engineering helps to create very special kitchens. The construction methods and material specification combine to produce an outstanding product. At Black Rok, we combine that exceptional product with creative and innovative design. The result is a kitchen that looks fantastic, works beautifully and creates a living space that is a joy to be in. Best of all of course, Black Rok clients love their kitchens; you can see how some of their kitchens were created in recent projects. Black Rok kitchens are constructed in a state-of-the-art factory, where attention to detail is taken for granted and high quality is assured. Kitchens manufactured in Germany are widely regarded as being some of the best available due to their high levels of accuracy, style and durability. Black Rok kitchens are manufactured ‘rigidly’. This means that the cabinets are glued and screwed at the factory, creating a much more robust and enduring construction. Unlike flat-packed cabinets, rigid cabinets benefit from a consistent assembly procedure that is tried and tested and faultlessly repeated. The furniture is made with the aid of computers, templates and machinery. This ensures that elements fit together exactly as they have been designed to do; corners are square, edges are straight, and joints are strong. 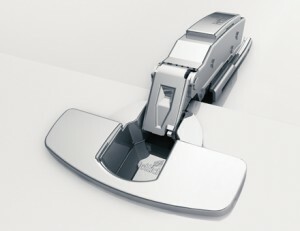 Precision is assured; doors fit properly, draws run smoothly. This is a defining feature in german kitchen design. The components that form an integral part of the cabinets: hinges, draw runners, pull-out, swing-out and swivel shelf mechanisms, are all manufactured to the same high standards, to provide long-lasting and smooth operation. To read more about the construction quality of our kitchens see the page about our kitchens. Throughout the 20th Century, Germany was setting trends in design styles. Of course, the Bauhaus art school of the early 20th Century has been hugely influential bringing together art and construction. However the great leap in functional kitchen design is attributed to Margarete Schütte-Lihotzky and her Frankfurt Kitchen. So called because the designs were first used in a large housing project in Frankfurt. The design of the Frankfurt Kitchen incorporated the results of studies on workflow within the kitchen. Whereas Bauhaus married art and design; the Frankfurt kitchen brought scientific study to kitchen design. The kitchen became a separate room, specifically created as a space for preparing and cooking food — as efficiently as possible. Another great trend-setter in kitchen design was the German cabinet maker Friedemir Poggenpohl. His company, Poggenpohl, started making kitchen cabinets in the late 1890s. Poggenpohl became a true innovator in cabinet design and in 1950 developed the unit kitchen; what we know today as the ‘fitted kitchen’. 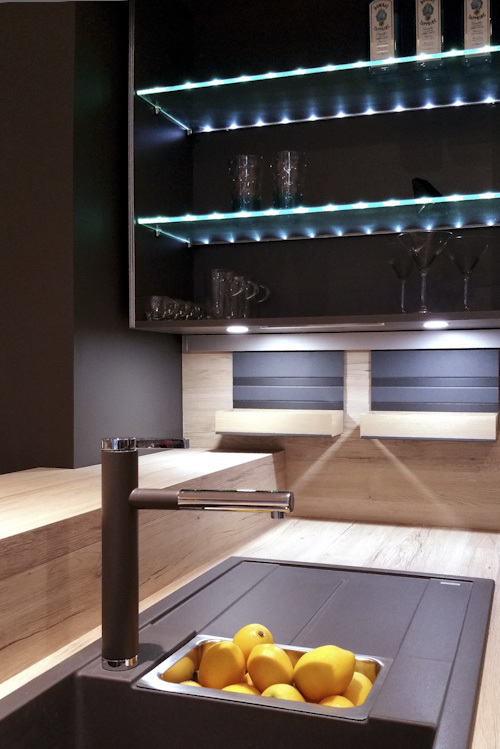 Moving into the 21st Century, another German kitchen company, Hacker, launched the Handleless kitchen. Handleless kitchen cabinets led to designs that embody a very sleek and clean look; perfect for the modern kitchen. The handleless kitchen design has become extremely popular because the good looks combine with real practical advantages such as ease of cleaning and fewer low-level protrusions; especially worth considering if you have small people in the house. It’s not just in the kitchen industry that Germany leads the field with innovation. German industry is built on the constant drive not just to invent but also to innovate. Together with the German cars, the kitchens that Germany produce provide a perfect platform to showcase this innovation. Of course , the best way to get a real taste of how good a Black Rok kitchen can be is to visit our our showrooms, you will discover the real qualities of German kitchen design. Here you can see and feel just how well materials and design can be brought together to create something very special indeed. Arrange an appointment to come and chat to us about your kitchen ideas, call us on 01825 766976 or use the form below and we’ll contact you.